With most Indian cities facing traffic snarls that drive us car users up the wall on a daily basis, more and more Indian consumers are choosing to go for an automatic car as compared to a Manual. While the likes of the premium hatchbacks like the Maruti Suzuki Baleno, the Hyundai i20 and the Volkswagen Polo GT TSI offer CVT, torque convertors and dual clutch gearbox options, if you are in the market for an affordable automatic car, the AMT is the only option for you. AMTs in India have become very very popular recently as the increase in cost over the manual variant isnt much due to the fact that the basic hardware is basically the same along with an electronic actuator attached to the top of the gearbox in order to automatically shift the gears. The other reason AMTs have become more popular is due to the fact that fuel economy for AMT gearbox is almost the same if not identical to the manual. 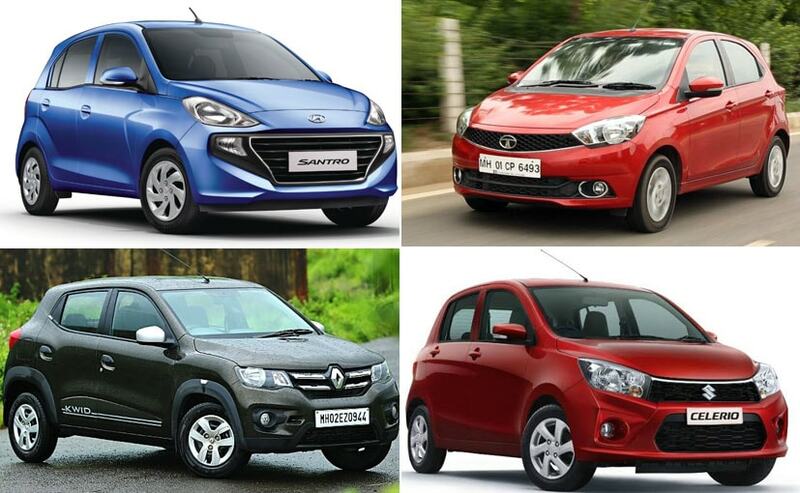 So all said and done, here is a list of the Top 5 best AMT or automatic cars you can buy in India under Rs 6 lakh! 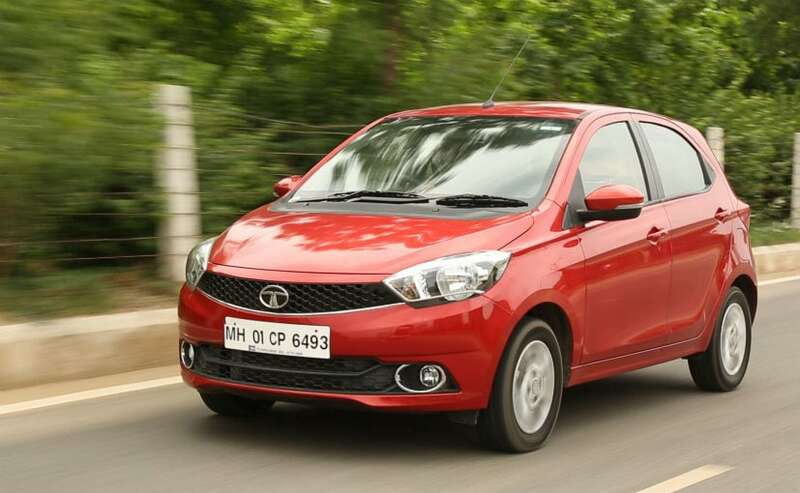 The Hyundai Santro is the newest entrant in the affordable AMT cars list and it is our top pick as it offers a whole lot more than most cars in the price range. 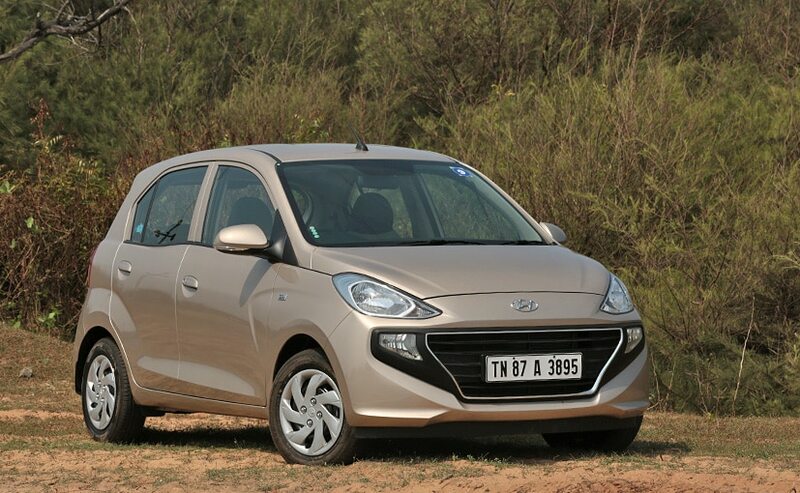 Powered by a 1.1-litre engine, the 5-speed AMT unit is smooth to use and has been developed in house by Hyundai. The engine makes 68 bhp of peak power 99 Nm of peak torque. The fuel economy figure for the Hyundai Santro AMT is rated at 20.3 kmpl. The Santro AMT is available in two variants and is priced from Rs 5.18 lakh to Rs 5.46 lakh (ex-showroom). The Santro AMT also offers the likes of a touchscreen infotainment system that comes with Apple CarPlay and Android Auto. The Tata Tiago AMT is the most powerful automatic car you can buy in India for under Rs 6 lakh. The 1.2-litre engine makes a modest 84 bhp and 114 Nm of torque with an impressive fuel economy figure of 23.8 kmpl! The Tata Tiago AMT basically gets a 5-speed automatic version of the standard manual gearbox and drives quite well. Prices range from Rs 5.04 lakh to Rs 5.63 lakh but while it is more expensive, you do get slightly less kit as standard as compared to the Hyundai Santro. However, it does offer quite a lot of space in the rear seat and also a large boot. If anyone has been responsible for the democratisation of the automatic gearbox in India, it is Maruti Suzuki. The automaker has sold almost 4 lakh AMT cars in India since its launch a few years ago and the first car to get the AMT gearbox was in fact the Maruti Suzuki Celerio. Powered by the tried and tested K10 engine, the Celerio AMT's 1-litre motor makes 67 bhp and 90 Nm and gets a fuel economy figure of 23.1 kmpl. The Celerio though is very outdated and even the top spec models are not offered with the likes of a touchscreen infotainment system. 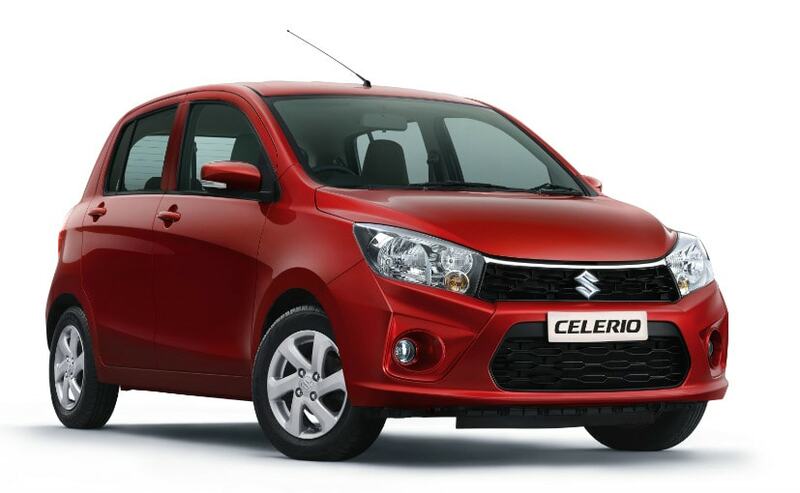 Prices for the Maruti Suzuki Celerio AMT range from Rs 4.97 lakh to Rs 5.40 lakh (ex-showroom). The Maruti Suzuki Alto K10 is one of the most popular cars sold in India and with its peppy engine and tiny proportions, we aren't surprised. Sales for the Alto K10, especially in urban areas, are dominated by the AMT variants. 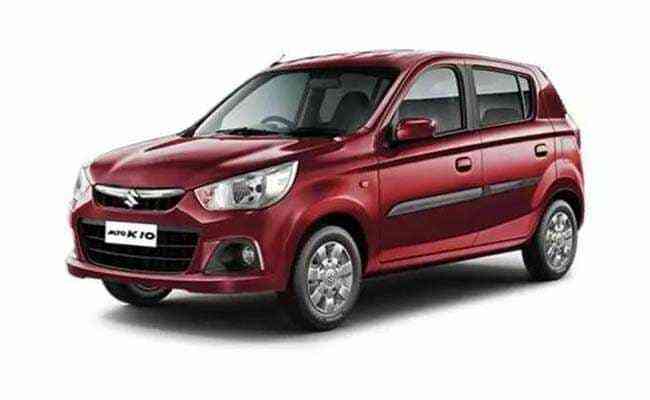 A 1-litre engine making 67 bhp of peak power and 90 Nm of peak torque powers the Maruti Alto K10. That said, considering the fact that the Alto K10 and the Alto in general are now an older platform and an older car, it is also the least spacious car in this list and the one with the least amount of standard equipment. There is no touchscreen infotainment on offers but you do get a simple dual din type inbuilt audio setup with Bluetooth integration. That said, you do get a very high fuel economy figure of 24.07 kmpl. The Renault Kwid AMT is a great package for those who want a small city car that is very spacious and loaded to the brim with features. Having recently gone through a very minor facelift, the new Renault Kwid AMT is only available on the 1-litre engine option. 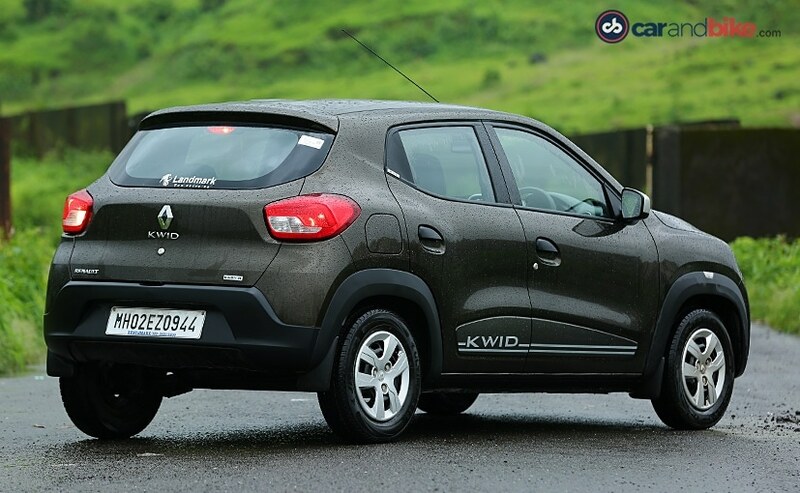 The Kwid AMT makes 67 bhp of peak power and 91 Nm of peak torque and offers a fuel economy figure of 24.04 kmpl. Compared to other cars in the segment though, the Renault Kwid is the most spacious - by far and also has the largest boot. It also comes as standard on the AMT models with a touchscreen infotainment setup with inbuilt navigation and the rear seats also get a flip down centre arm rest. The Kwid also has a massive bootspace of 300 litres. Prices for the Renault Kwid AMT range from Rs 4.35 lakh to Rs 4.63 lakh (ex-showroom).